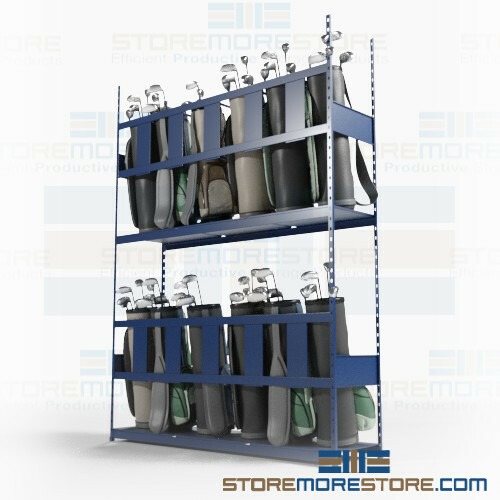 These stainless steel wall-mounted or freestanding racks store canoes, kayaks, and surfboards efficiently. Due to their long and bulky shapes, these items aren’t exactly the easiest thing to store and can easily be damaged with improper handling. Obviously, no one wants to have an outing in a canoe that’s falling apart. Since the racks are designed specifically for marine equipment, it’s easy to load and unload with a minimized risk of damage or injury. 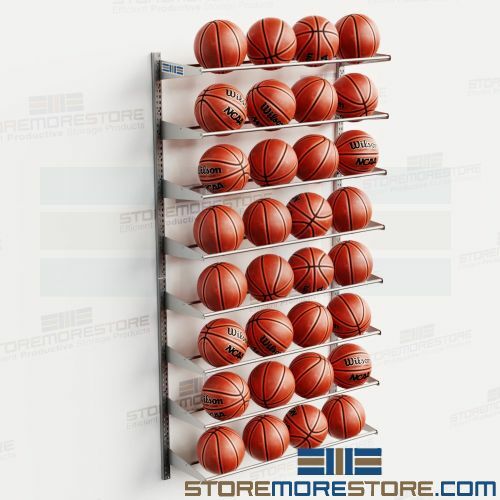 A 4-level capacity also allows you to store more in less space by maximizing your overhead storage area. You can even store different sizes of watercrafts and combine your equipment storage with adjustable intermediate storage arms. For even more convenience and space savings, a front security flange on each arm also allows you to store paddles or use a tie-down mechanism. 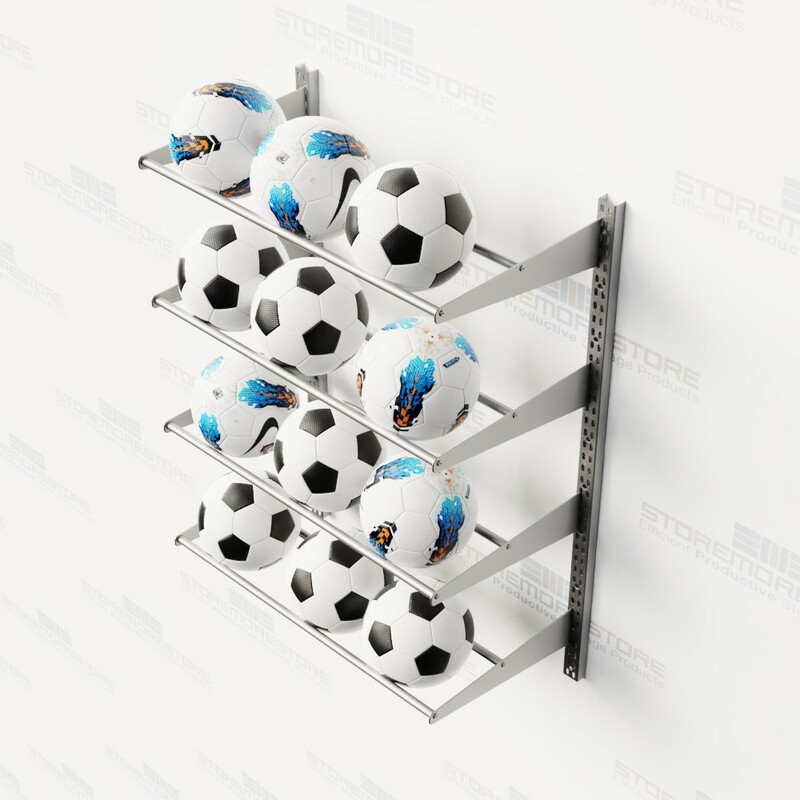 You can use these racks in multiple types of environments with wall-mounted, ground mounted, or freestanding units so you can store them anywhere from shops to docks. For the utmost durability even in humid areas, the stainless steel construction prevents rust and corrosion for long-lasting use. 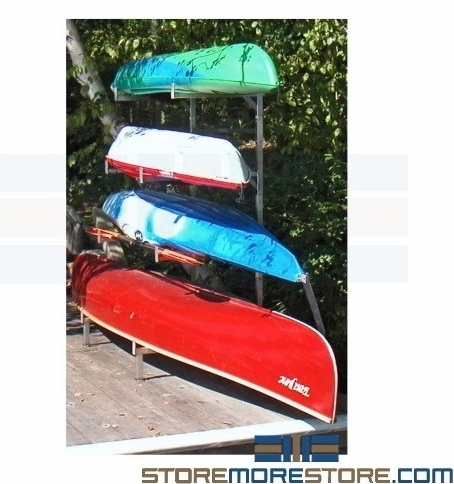 Canoe and kayak racks are available to buy online and ship within 10-15 business days. Free dock-to-dock shipping included. If you need any assistance or just want some help picking the right solution for you, please call us at 1-855-786-7667. Golf clubs are expensive, bulky, and difficult to store as they need to be kept upright, secure, and safe from damage. Understandably, many patrons judge the quality of a golf course by its look of professionalism, protection of their gear, and ease of use. 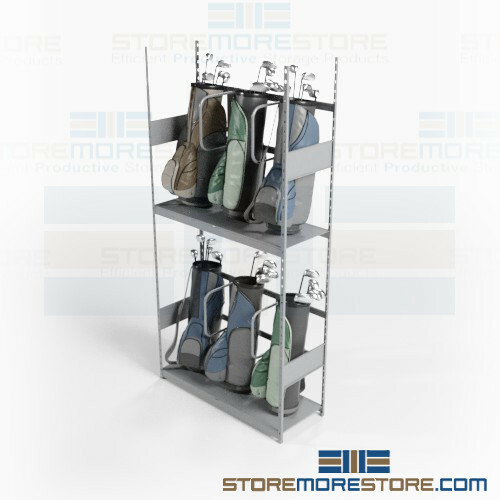 The golf bag sliding shelving is a unique solution that provides all of the above and, in addition, saves you a ton of space. With lateral tracks, the shelves in front slide side-to-side with a stationary unit in the back. 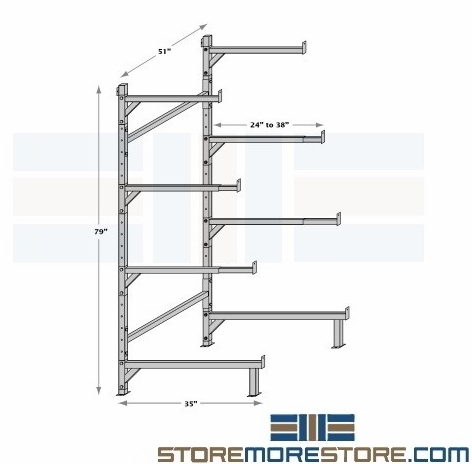 This means that you don’t have to waste your valuable space with static aisles between shelves. To access the back shelves, just slide the units in front of them out of the way. Then, users can easily access their equipment. On average, users store about double the capacity of traditional shelves in half the floorspace. Also, the shelves hold golf bags in the upright and proper position, giving each bag its own space. This ensures that the golf bags aren’t cluttered or falling on top of each other during storage. Because what’s the point in saving space if the system is unappealing and difficult to use? We can also configure the golf bag sliding shelving with roll-up locking doors to provide security. The space savings, ease of use, and professional looks make the shelves great for country clubs, municipal golf courses, and universities. Each shelf rated to hold 300 lbs. 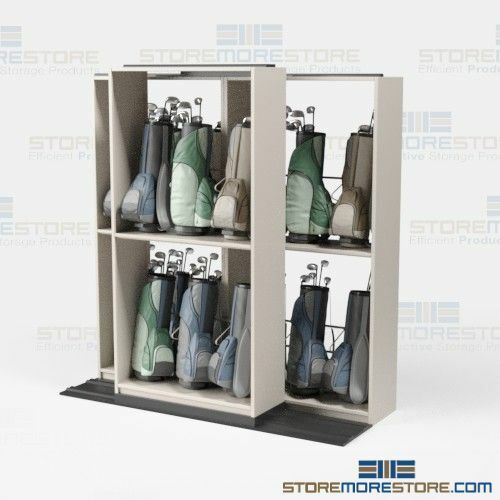 Golf bag sliding shelving is available to buy online with volume discounts available. For more information or if you need assistance, call us toll-free at 1-855-786-766. 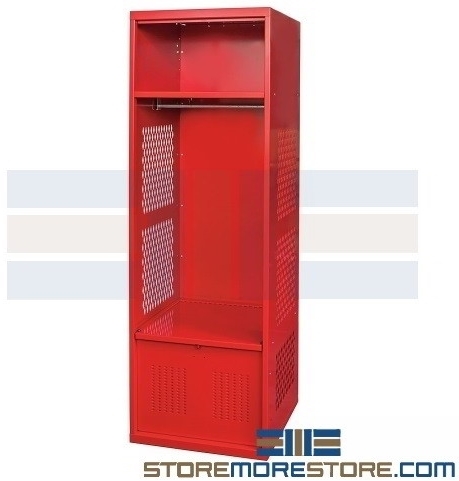 Athletic wood lockers are designed specifically for athletic facilities and teams in basketball, soccer, football, hockey, and more. Of course, you don’t want players scrambling and wasting time trying to find and get their gear in order on game day. Ideally, you would want a storage solution that combines organization and a professional appearance while also standing up to the demands that often come with dressing room areas (it gets humid in there—which means odors, mold, or damage). 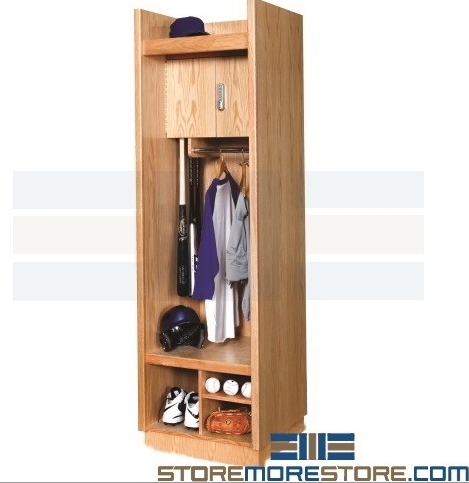 The wood lockers are constructed from furniture-grade red oak veneer that is as beautiful as it is functional. 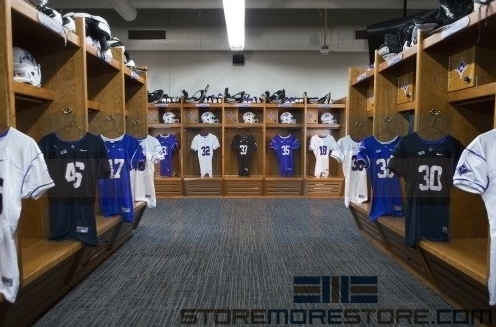 Additionally, in order to withstand locker room environments, three coats of catalyzed clear finish resists damage from moisture and other factors. 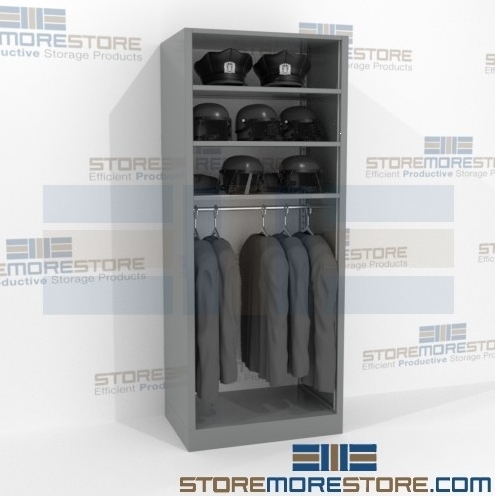 Coupled with a variety of options including upper and lower compartments with keyless locks, it becomes easy to store and access shoes, uniforms, helmets, and other athletic gear. Lastly, lockers ship fully assembled and ready to set in place. They are a quick and cost-effective solution for high school, collegiate, and professional sports facilities, as well as recreation centers. 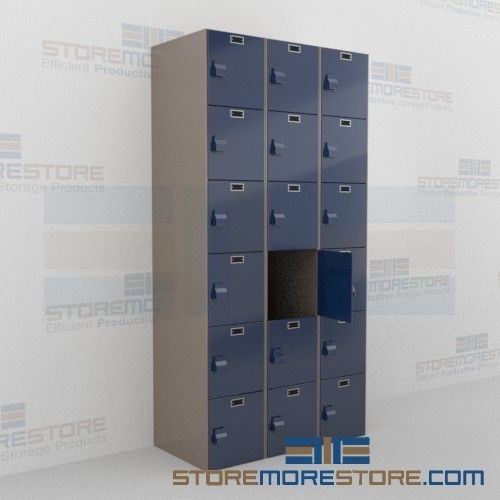 Athletic wood lockers are available to buy online for your hanging uniform needs. For more information or if you need assistance, call us toll free at 1-855-786-766. Since 2000, the use of bicycles for transportation has increased by 62 percent. Biking is great for a healthy lifestyle, but this requires more bike storage areas that can take up a large amount of room. Otherwise, users may store bikes haphazardly, which leaves them prone to damage or theft. 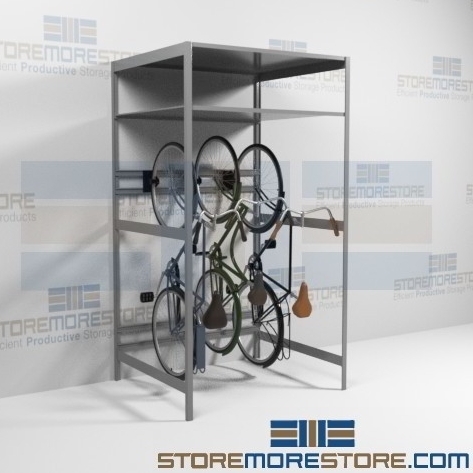 Vertical bike racks and hanging shelves for are ideal solutions for storing a large amount of bikes indoors and in less space. Read on to see two different types of vertical bike racks. These bike racks come with one or two shelves above for storing additional gear and accessories. Bikes hang vertically, which saves space and allows users to quickly and easily retrieve stored bikes. The bikes are easy for users to reach and prevents bikes from leaning against others, which can cause damage. Simply hang the front wheel on the wall bracket, and the rack keeps it in place. The vertical design makes these bike racks perfect for condos, dorms, apartments, property rooms, unclaimed bike storage areas, and more. The double-tier racks provide two-level storage for bikes to save space in a small footprint. To load bikes, simply place it into one of the rack trays and roll it forward until the front wheel drops into the slot. This allows each bike its own storage area while maximizing your available space. 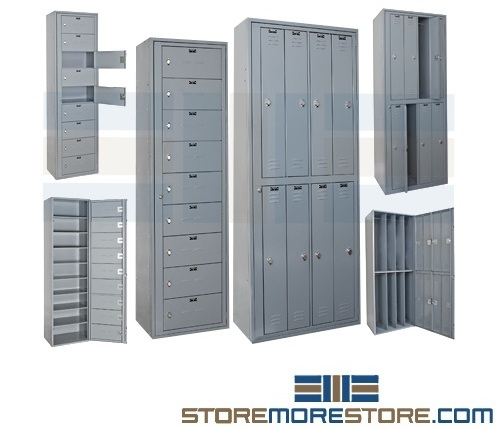 These are great for commercial and retail bike storage, high rise apartments, universities, police stations, and more. 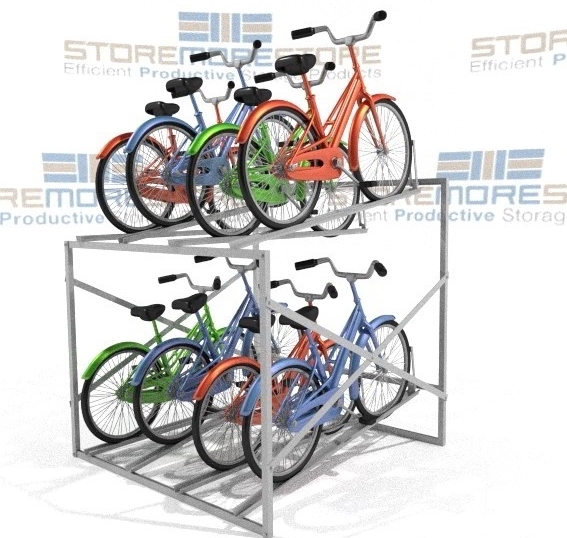 Vertical bike racks are available to buy online and are easy to set up and use. For more information or additional assistance, please call us toll free at 1-855-786-766. 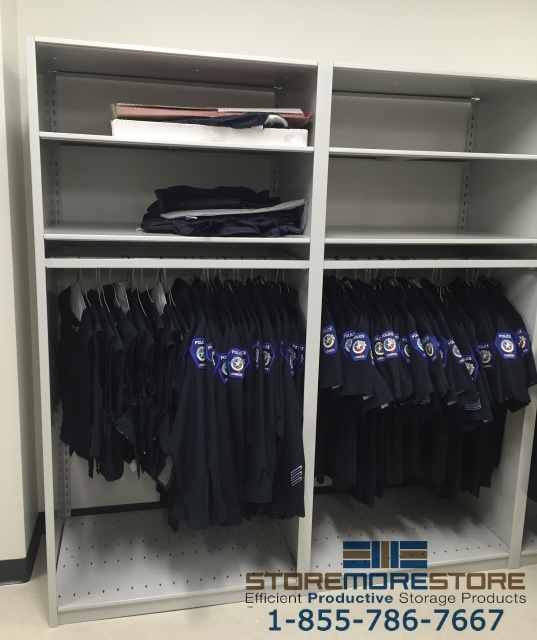 Whether you’re in athletics, law enforcement, healthcare, commercial industries, or military, storing uniforms can be a pain especially when you add laundering to the task. 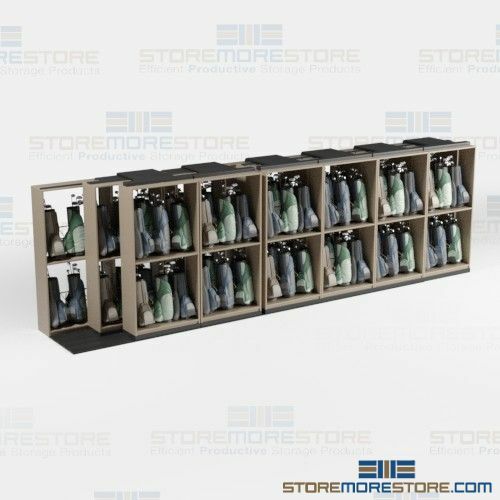 Instead of risking damage and loss of uniforms brought by inefficient and improper storage, uniform exchange and garment dispensing lockers allow you to store dirty uniforms where they can be easily picked up and then stored again when they’re clean. 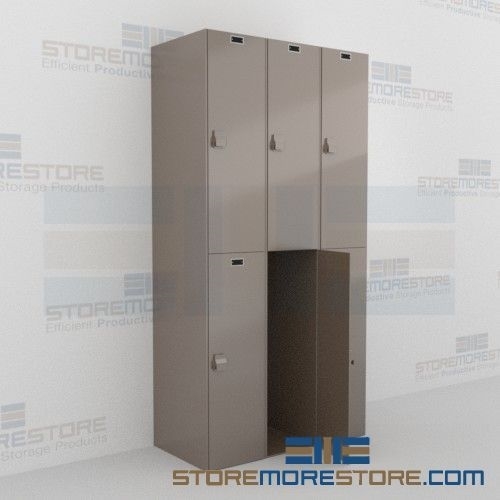 The uniform exchange lockers are available in multiple hanging or drop-off configurations. For example, soiled laundry can be dropped off in closed lockers with hampers until they can be picked up be laundry service personnel, who can access stored clothing through a front locked door. 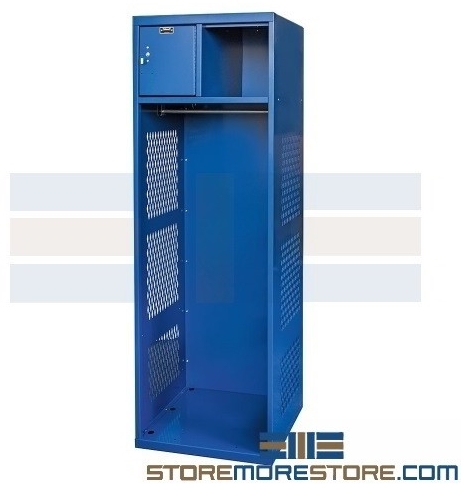 If you have uniforms that need to remain in a hanging position, lockers with one or multiple garment racks are also available as well as lockers with cubbies. The lockers have individual compartments as well as a master door, allowing security to be maintained while also supplying a uniform or garment supervisor full access when it’s needed. They are ideal for storing uniforms as well as protective clothing and linens, which makes them usable for a wide variety of applications and industries including gyms and clubs, hotels, hospitals, schools, labs, and much more. 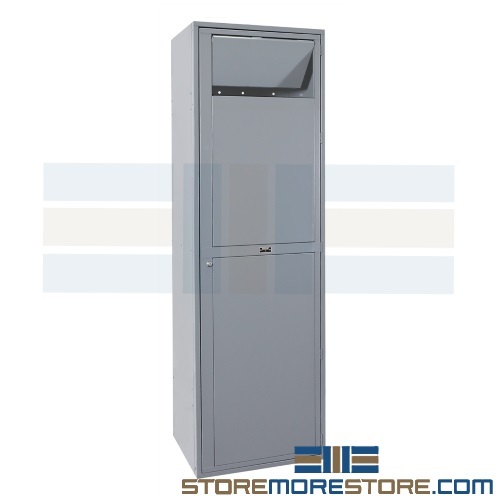 Uniform and garment dispensing lockers are available to buy online at our store and ship fully assembled in 7-10 business days. For additional assistance or more information, call us at 1-855-786-7667.